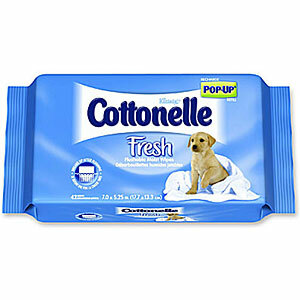 All You Free Sample: Get a free tub of Cottonelle Fresh® Flushable Moist Wipes for you and a friend. If you haven’t requested yours yet, just fill out a short form on the Cottonelle Web site and nominate a friend who you think would appreciate Cottonelle Fresh® Flushable Moist Wipes. You’ll both get a coupon for a free tub and a free Cottonelle EasyReach™ hanger.